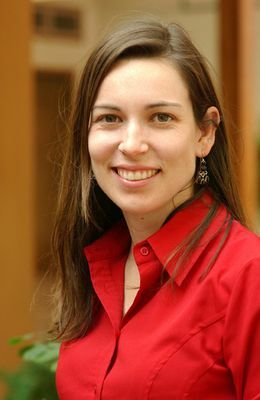 Christina is an author and science journalist who has written for Scientific American, Science, Nature, New Scientist and other print and online publications. Her books cover the history of the Earth and marine science during the 20th century. In 2003, she was the science coordinator for James Cameron's 3D IMAX movie Aliens of the Deep, venturing 1,000 meters below the surface of the Atlantic Ocean in the Russian Mir 1 submersible to the Lost City and Menez Gwen hydrothermal vent sites. Christina is the Earth Producer for DiscoveryNews.com and is currently based in Paris, France. The biggest story I've covered was...COP15 in Copenhagen for the UNESCO climate platform. When I'm not covering Earth science, you'll find me...salsa, swing or tango dancing. I'm not saying I'm good, just that it's a good place to find me. I became interested in science thanks to...California beaches. I love investigating the tiny animals that live in tidepools along the coast. I've always had a strong interest in marine biology for as long as I can remember. Academic Work: Distribution and nutrient constraints on bacterial population sizes in Puget Sound; Holocene investigation using a seafloor multicorer from the R/V Knorr to collect sediment from the Labrador Sea with an intact record of the last 3,000 years, as indicated by accelerated mass spectrometry radiocarbon dates.